No Bottom Rails, Screen Package, Privacy Panels, Cedar Stain, Rubber Slate Shingles. Spindles Above the Door: Continues a uniform look. 6"" or higher posts are recommended. 6"" Higher Posts: Creates a higher roof line. Extra Screen Door: Add multiple entrance points. 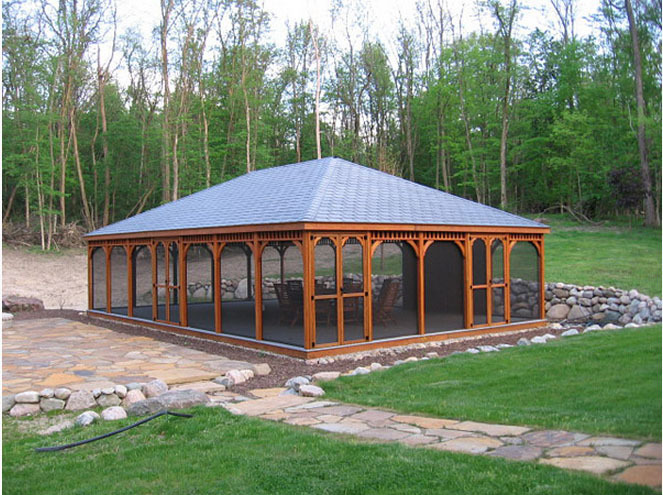 Specifications: Double 2"" x 4"" Rafters Our double rafters give your gazebo roof a heavy-duty load capacity and help prevent beam warping. 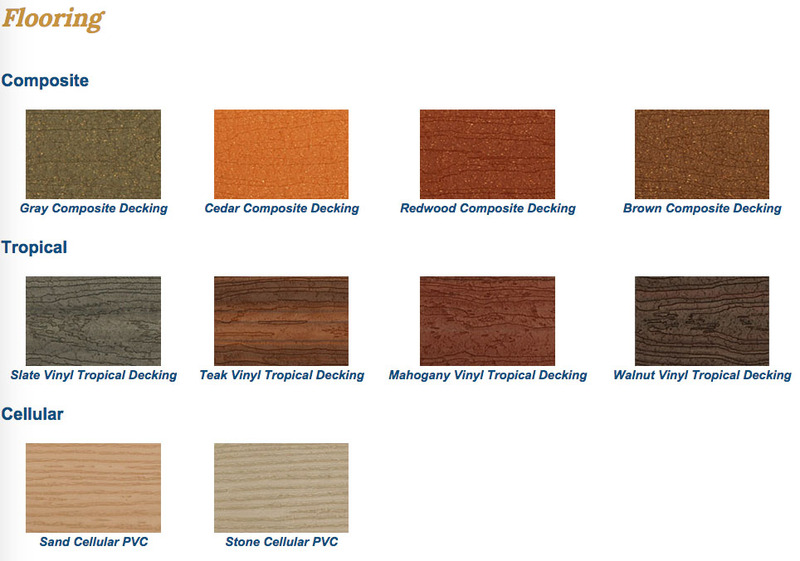 #1 Premium Grade Lumber We use only the highest quality lumber for your gazebo. We mill every piece in-house to reduce splinters and rough edges for a smooth finish and better feel. 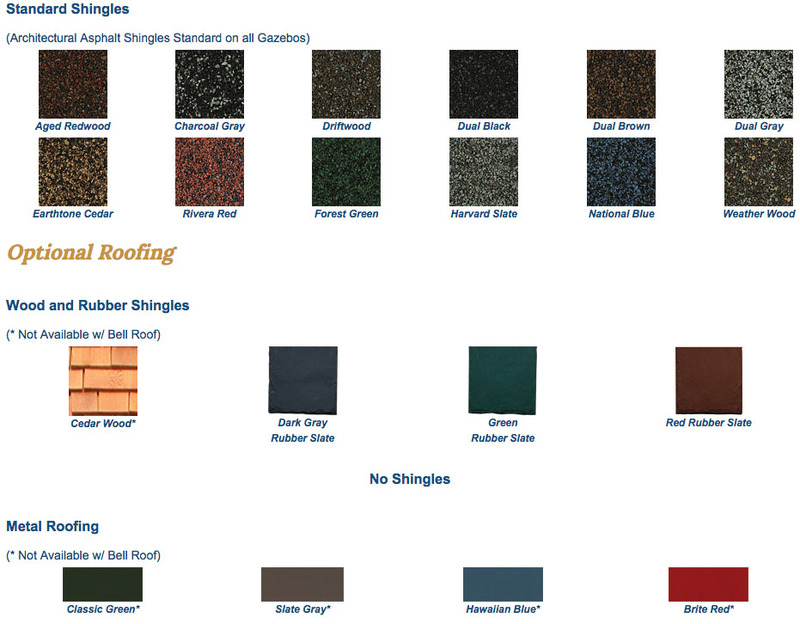 Laminated Posts Our laminated posts resist checking and add strength while giving your gazebo a custom look 24"" Western Red Cedar Shingles The optional red cedar shingles are made with high quality cedar, offering a traditional look. 2"" x 6"" Braces These braces offer additional strength and control side motion. 36"" High Rails Brings railings up from the standard 32"" to 36"". Great for higher elevations. Extra Strong 2"" x 6"" Decking 2x6 decking means strong construction, plus our hot-dipped galvanized screw nails are designed to stay seated for a lifetime. Milled 1"" x 4"" Ceiling Lath Our milled 1x4 laths allow your cedar roof to breathe and offer a wonderful interior appearance as well. 2"" x 8"" Compression Ring The compression ring ties the rafters and posts of your gazebo together for additional snow load capacity and wind stability. Heavy Duty Railings The railings on your gazebo are built to last! We utilize heavy-duty lumber to resist wear and vandalism. Stainless Steel Screws Stainless steel screws help to maintain the long life of your gazebo and offer a finished appearance. Double 2"" x 6"" Floor Joists Helps prevent warping of joists and popping of floor boards. They also allow for a better straight down fastening of the floor board, giving your deck a stronger, longer-lasting life.